Happy National Holistic Pet Day! So what does “holistic” mean to you? Halo Pets surveyed nearly 850 pet owners about the term “holistic” as it relates to what they feed their pets. The survey respondents included both dog and cat owners who buy a variety of pet food brands. Some respondents are Halo customers, some are not. Nearly 62% of respondents consider the food they purchase for their pets to be a premium, “holistic” brand. Other top attributes included: Only fresh meat or fish (58.5%), includes lots of fruits and vegetables (50.3%), zero recalls (50.4%) and the use of ingredients one can find in their own kitchen (45.2%). 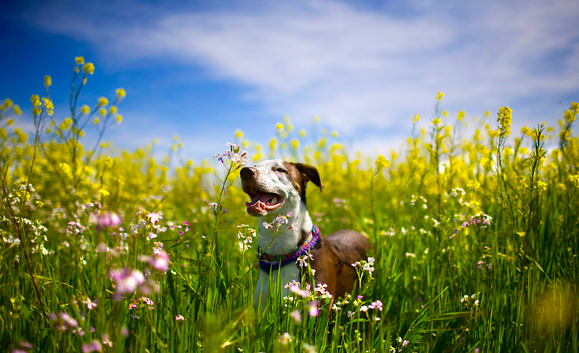 Learn more about Halo Pet’s Holistic Pet Day survey. This entry was posted in Pet Studies and tagged Halo Pets, Holistic Pet Day survey, National Holistic Pet Day on August 30, 2013 by Belkis Cardona-Rivera.